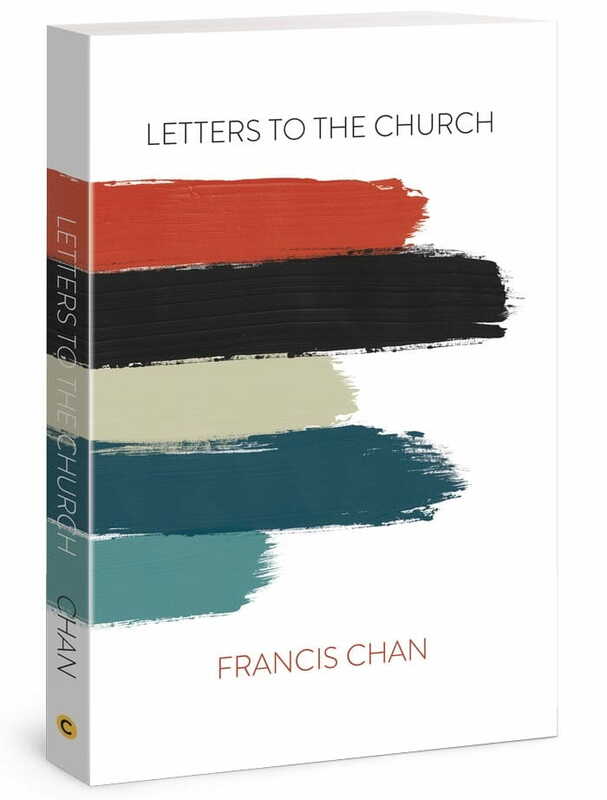 There’s a lot of Scripture in Letters to the Church, and its author, Francis Chan, doesn’t let you easily skip over it. Readers will run into speedbumps like: “Did you catch that?” (pg. 88) and “If you skipped past the verses above, please go back and read them. Then read them again,” (pg. 91). But this wasn’t always Chan’s way of thinking. For years, he approached church decisions based on what was “most practical, most popular, or most effective,” he said. Issues in the American church bothered Chan since he was a teenager. While reading the Bible, he noticed a mismatch between how the Bible described church and how he experienced it. But that solution to “continue with the norm” grew more difficult to accept the more he read Scripture. And when he realized that other leaders at Cornerstone felt similar convictions too, all pretenses fell aside. The group knew they needed to make a change. They believed it was possible to live out the biblical vision of what church can be, even in 21st century San Francisco. This is what Letters to the Church is about. Chan is still bothered by mistaken and warped views about God’s church, and he addresses them in his latest book with a sense of urgency, vulnerably, and tact. One issue the book uncovers is the tendency of American Christians to act as consumers and treat the church like a market. Looking to Scripture first, Chan describes a biblical picture of a committed church community thriving in love and unity. In his book, he compared going to church with going to a birthday party, and he retold the story to Crosswalk. As the story goes, his daughter’s birthday was coming up, and he asked her how many of her friends would come if all she offered them was cake and company with the birthday girl. Chan said she would expect a couple of friends to show up. Then he asked her how many friends would come if he rented out an arcade and provided everyone with a live band, food, and unlimited tokens for games. She was sure the whole school would come for that party. Even if Chan gave his daughter the amazing party he described, she would know those friends didn’t come just to be with her; they came for their own benefit. What Will Draw People In? It’s good for people to gather together regularly as a church. 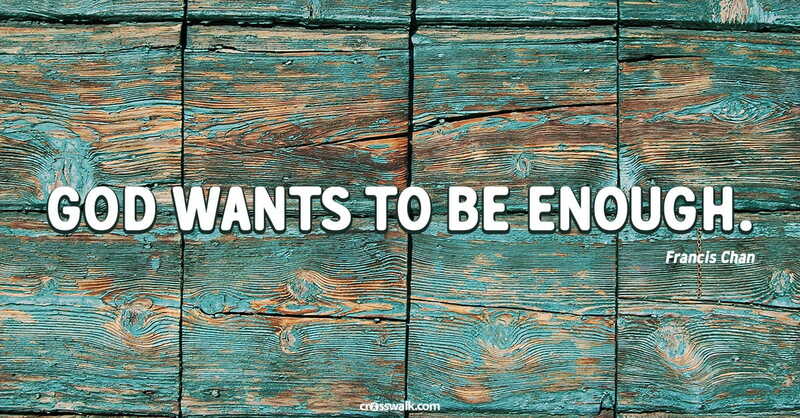 And God wants Christians to share the Good News with neighbors and invite them to church. But if the goal isn’t for churches to persuade as many people as possible to come to “the party,” what will draw people in? Chan says he reads a lot in Scripture about the attractive lure of the church’s unity and love. Jesus says in John 13:35 that a mark of a Christ-follower is the way they love one another. And in John 17, he prays to the Father that all believers may be united as the Trinity is united. 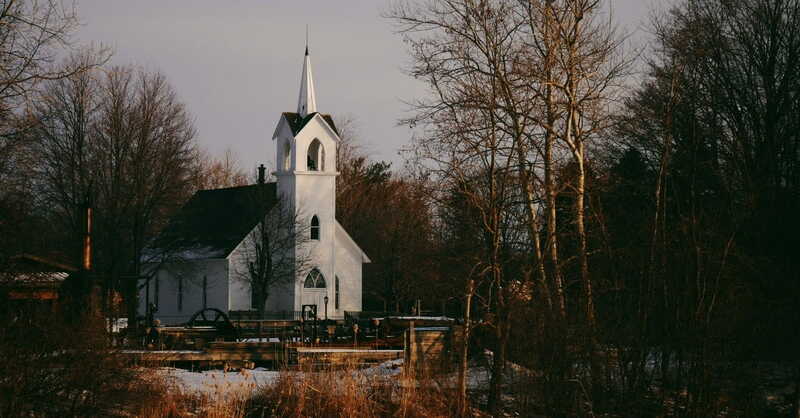 In Letters to the Church, Chan asks readers to dream of this reality in their church, looking to the early church as an example and to his church as hope that it can happen, even today in America. “Let’s at least try [God’s] method and seek that type of unity and see what happens,” he said. Another issue that Chan mourns is Christians’ lack of a sense of wonder and sacredness toward the church. He looks to Scripture again to redirect the reader’s attention to how God lovingly views his church as sacred. Ephesians 5 is often read during weddings, but Chan says it’s also a great passage to better understand God’s love for the church. “He’s saying that we are the Bride of Christ, and there’s this profound mystery that he nourishes and cares for us as members of his body. Meditate on that – think about a holy God who dwells in unapproachable light in heaven right now. He’s like a nuclear bomb that went off and multiply that by a thousand. You can’t even get near that type of power. And then he says that he cares for you like a member of his body. How does that not fascinate you? Those are the things we need to marvel again,” Chan said. In his book, Chan reveals his own struggle with viewing the church as sacred. And he confesses his arrogance in years spent speaking too quickly, loudly, and confidently about opinions like many Americans do. Letters to the Church offers a humble rebuke, which is needed because American consumerism has confused Christians into thinking it’s acceptable to critique church like we critique restaurants and movies. When Christians act as church consumers, it distracts hearts from the biblical picture of unity, sacredness, servanthood, and other things that Chan explores in Letters to the Church. These “lesser and silly things” are often innovative, culturally important, and interesting. Maybe more interesting than what’s found in Scripture because it’s difficult sometimes for Christians to read the Bible for years, even decades, without the words becoming dull. Chan said that’s a reality and it’s “a scary thing.” But the story does not necessarily end there – with generation after generation of Christians whose ears are dull to heavenly wonders. Letters to the Church calls believers to walk with God in awe. Chan also told Crosswalk about unique opportunity for pastors and older believers in the church. “There is a generation of young people that I have met that are very hungry for something more, but they are lacking examples of older people who are still living by faith,” Chan said. “They want to see older people – their way of life and imitate their faith. “There’s a responsibility that if you are older you better have young people in your life that are looking to you as the example or something is so wrong. We need you. 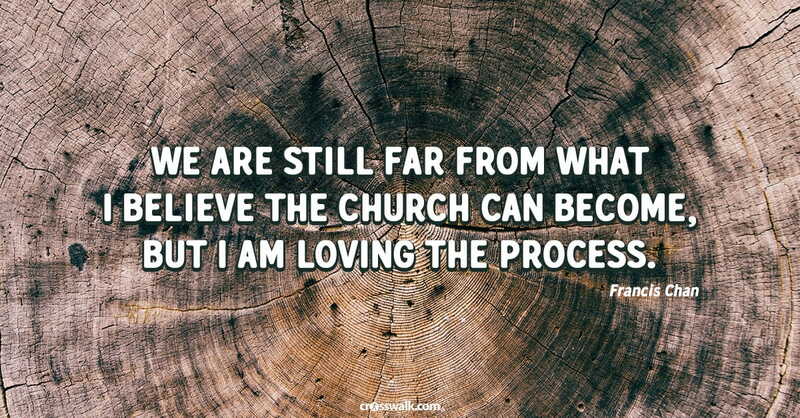 “We are still far from what I believe the church can become, but I am loving the process” (182). He said he rejoices in the small steps like when he hears about prayer gatherings and people in the church talking about Scripture and how much they love their time with the Lord. Letters to the Church releases September 1, 2018. Download a free chapter and pre-order Francis Chan’s newest book here today! 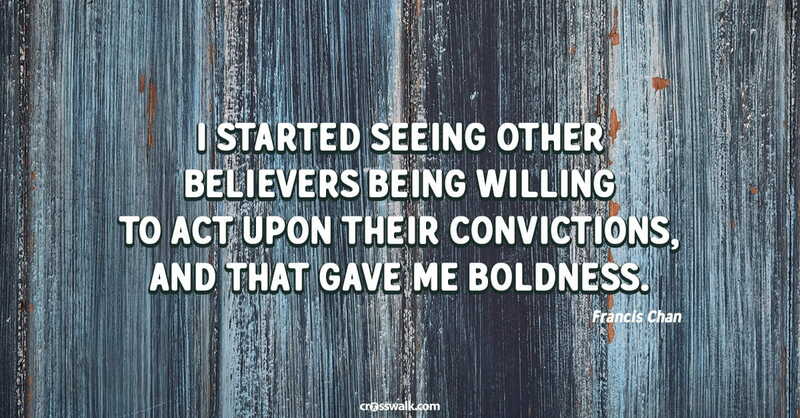 Francis Chan is a pastor, speaker and bestselling author of books including Crazy Love, Forgotten God, Erasing Hell, Multiply, and You and Me Forever. After launching Cornerstone Church in Simi Valley, CA, where he pastored for 16 years, he walked away from the mega church and college he founded. During a trip to Asia, he spent time with underground church leaders and realized how different the church in Asia looked when compared to the church in America. Chan returned to the U.S. with a commitment to apply what he had learned. Today he leads a home-based church model in San Francisco, one of the least churched cities in the world. Francis is currently a pastor of We Are Church which is planting churches in Northern California. Francis and his wife of 25 years, Lisa, have seven children and one beautiful granddaughter.